Hey kids, the Easter Bunny has been extra busy this winter, storing up eggs and candy for this year's hunt! 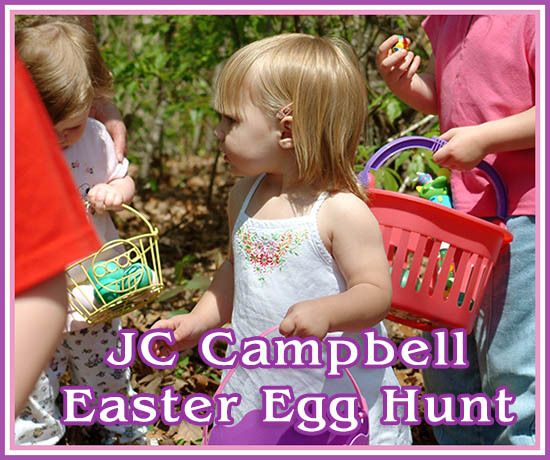 So, grab your baskets and hop on over to the Folk School for our Annual Easter Egg Hunt! An annual springtime favorite for kids. Join us in Open House for a fun afternoon of crafts, entertainment, and egg hunting. Please park in the gravel lot on the corner of Brasstown Road and Harshaw Road, across from the Keith House. Open House is behind Davidson Hall and next to the Folk School gardens. This event is free and open to the public.